OMG, they want $40 for them? They’re 2″ wide so they wouldn’t even fit through the belt loops on breeches. I can make that myself. 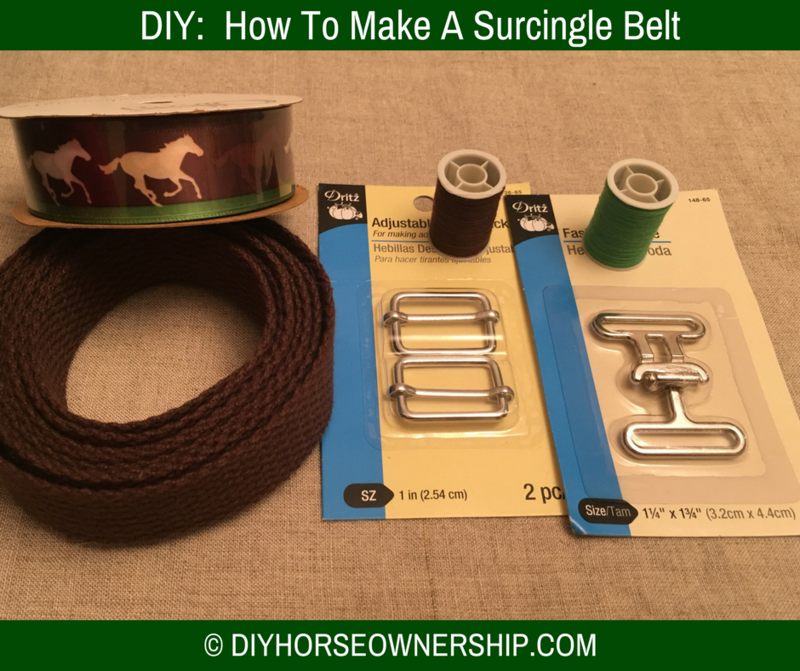 I wear a size 34 breech and used 48″ of cotton belting to make the belt. I probably could have used 42″ and been fine. 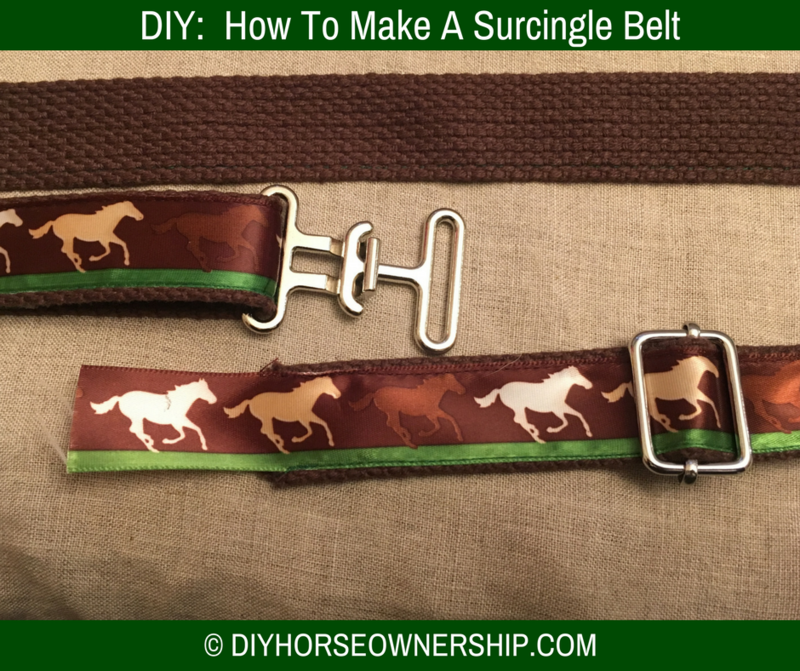 If you have a much smaller or larger waist, you may want to change the length of your belting and ribbon, but this belt is completely adjustable and will fit smaller and larger waists (the final belt can be as small as 26″ and as large as 46″ which is approximately size 22 to size 46). 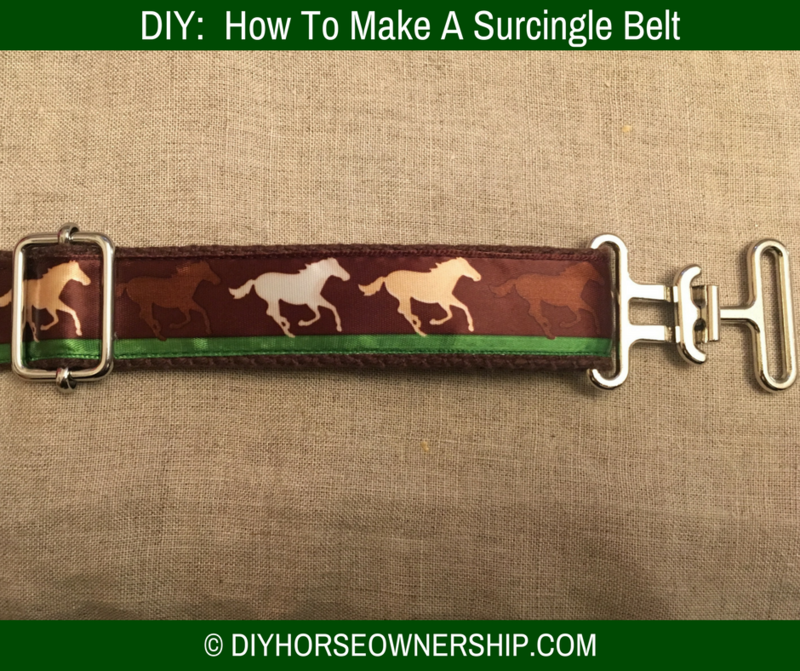 Start by cutting your ribbon to be a total of 6″ longer than your belting. 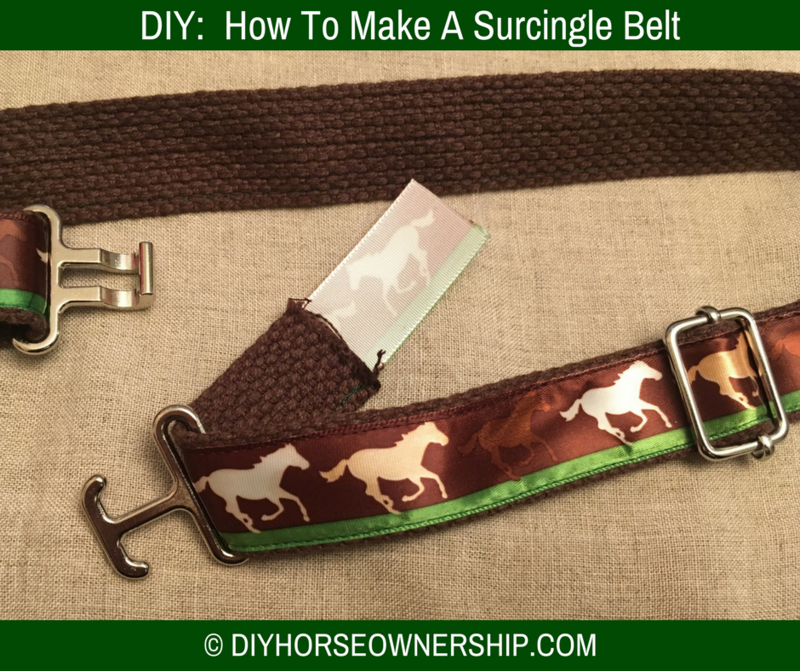 Then pin your ribbon to the belting with 3″ of ribbon overhanging on each side. 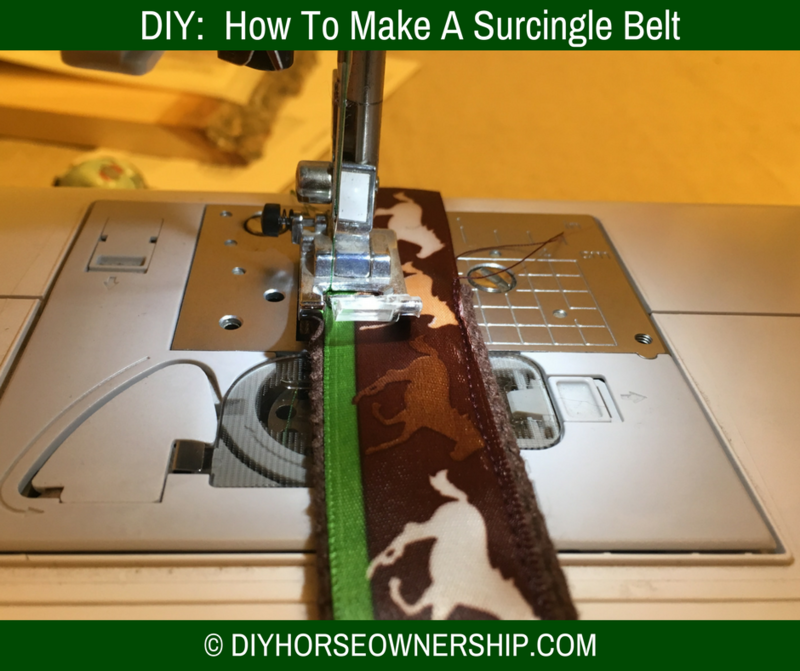 Using a sewing machine, sew the ribbon to the belting. Make sure to keep your stitching as close to the edge of the ribbon as possible. 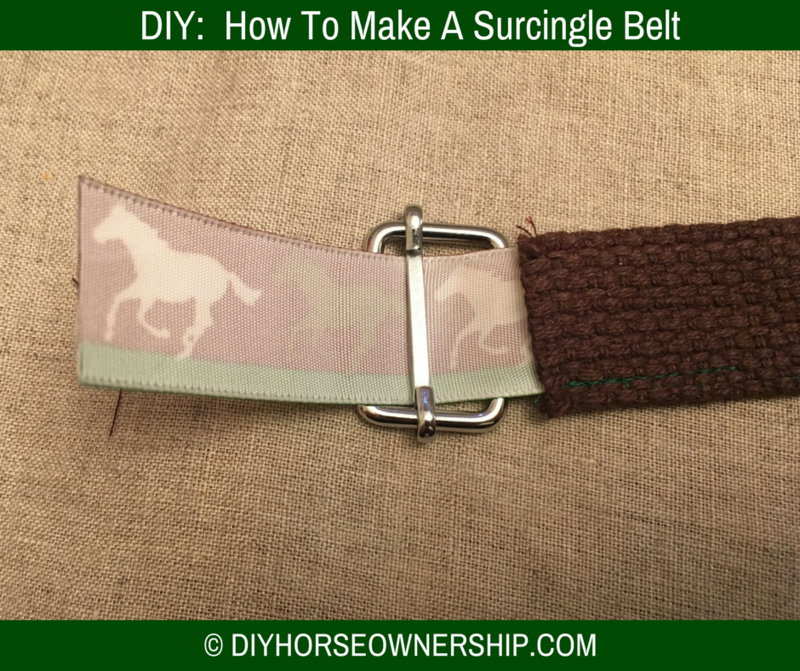 Switch your thread colors if you need to and sew the other edge of the ribbon to the belting. 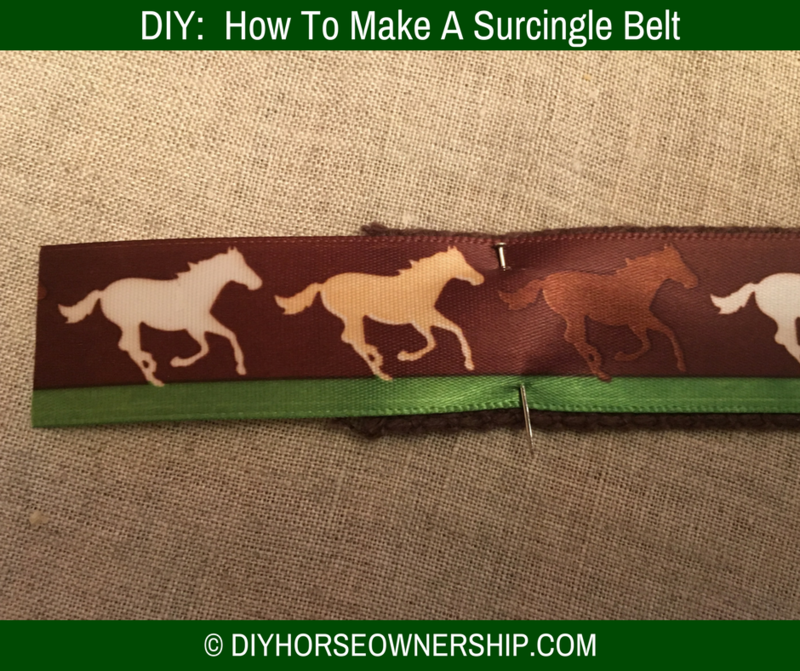 At this point, your ribbon should be sewn to the belting along both long edges as shown below. Note how close the stitches are to the edge of the ribbon. 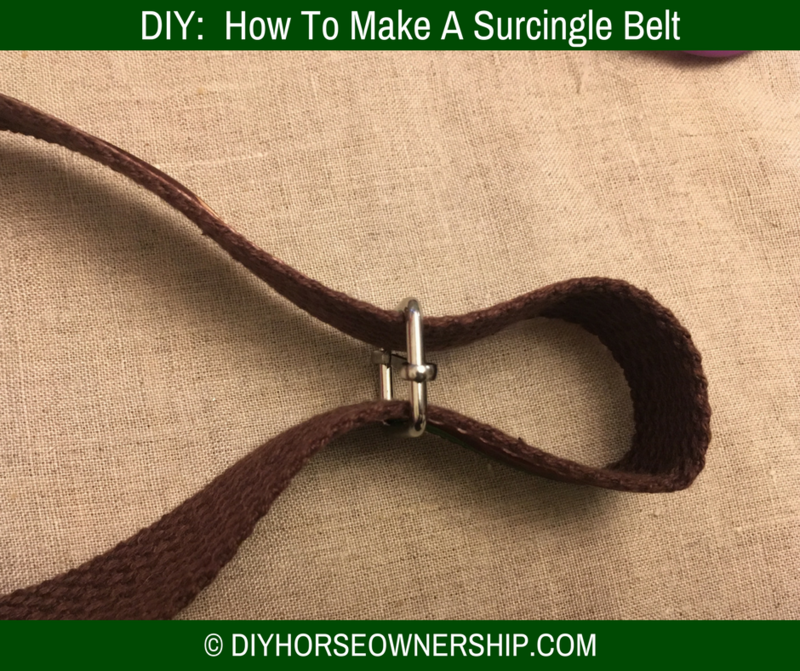 Slip the belt through the surcingle buckle making sure the front of the buckle is facing forward when the belt is upright. 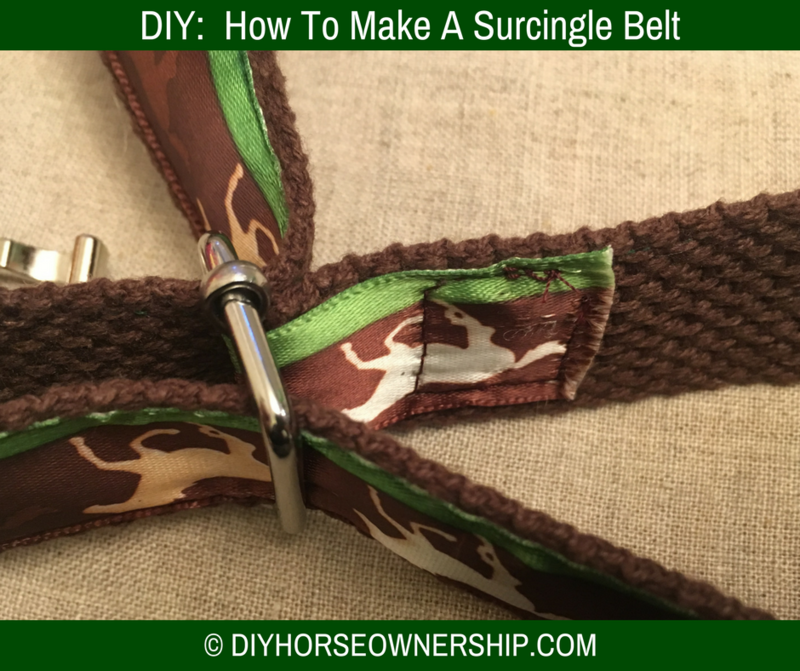 Wrap the ribbon snugly over the center bar of the buckle and pin in to the back side of the belting. 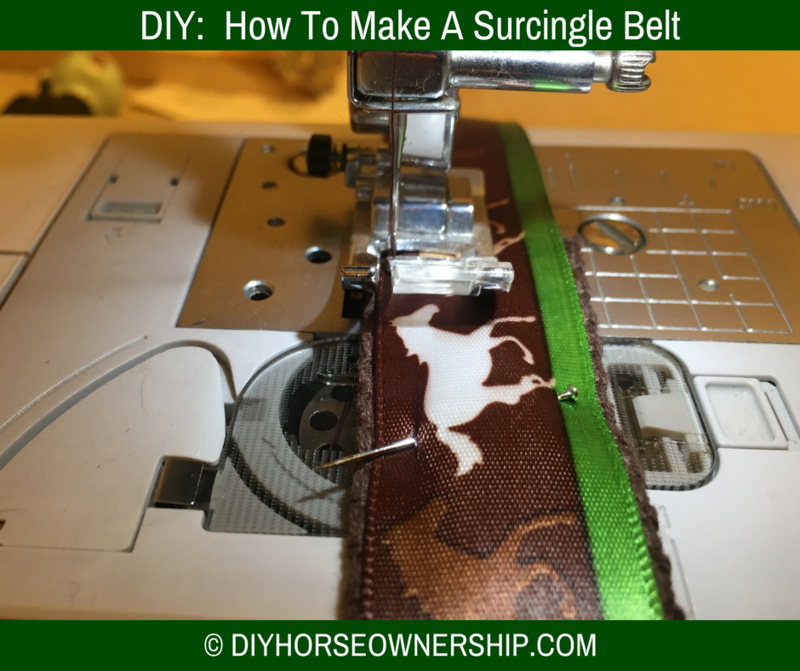 Sew the ribbon to the belting. You can just use the one color of thread here because this section of the belting will be hidden in the final belt. 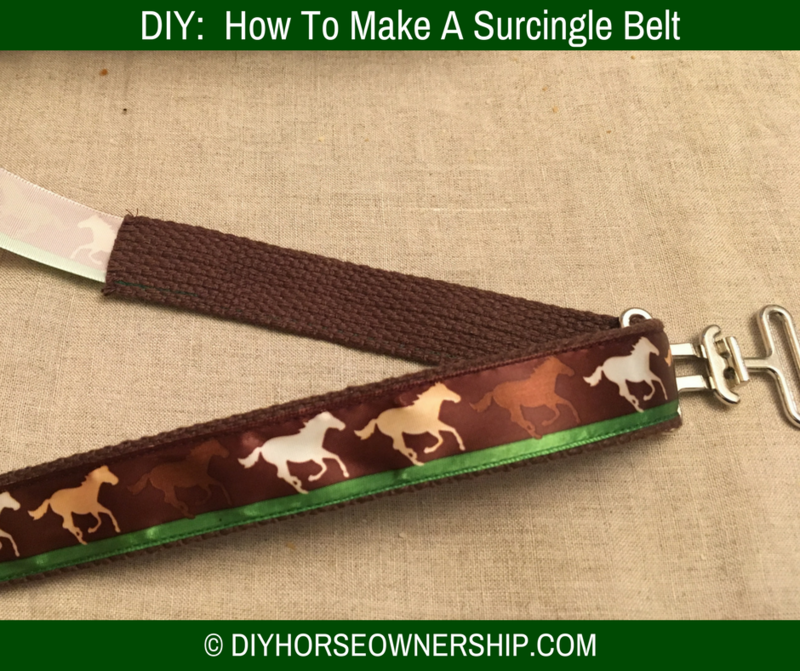 Slide the rest of the belting through the slide buckle. This side of your belt is now done. This next part is a little complicated so I have a lot of pictures. First insert the other side of your belting through the second slide buckle. 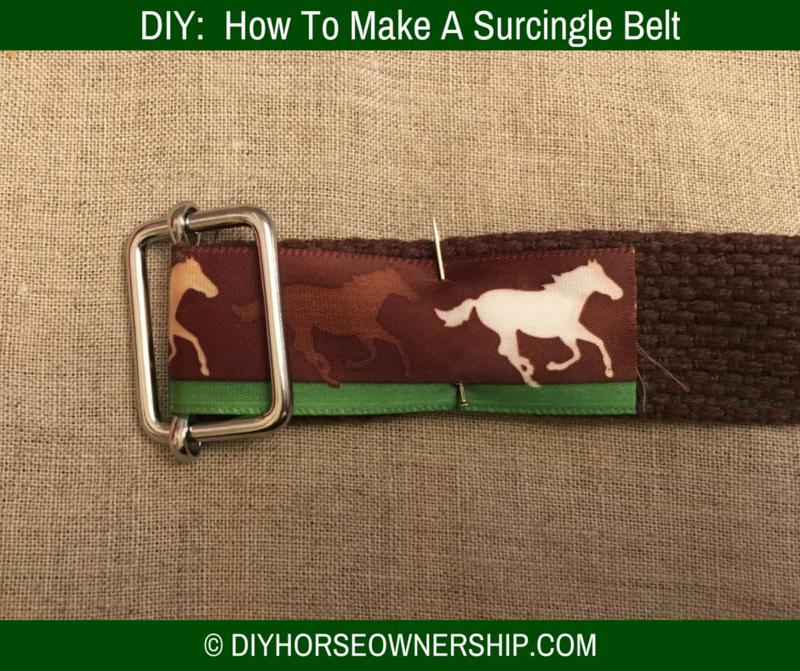 Then insert the second side of the belting through the other half of the surcingle buckle. 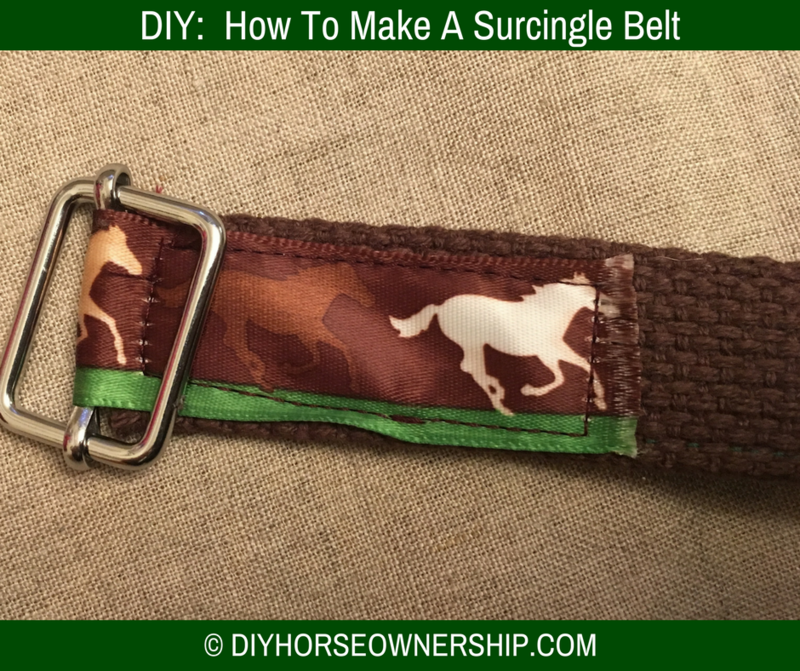 Pull the belting away from the slide buckle to make room around the central bar. 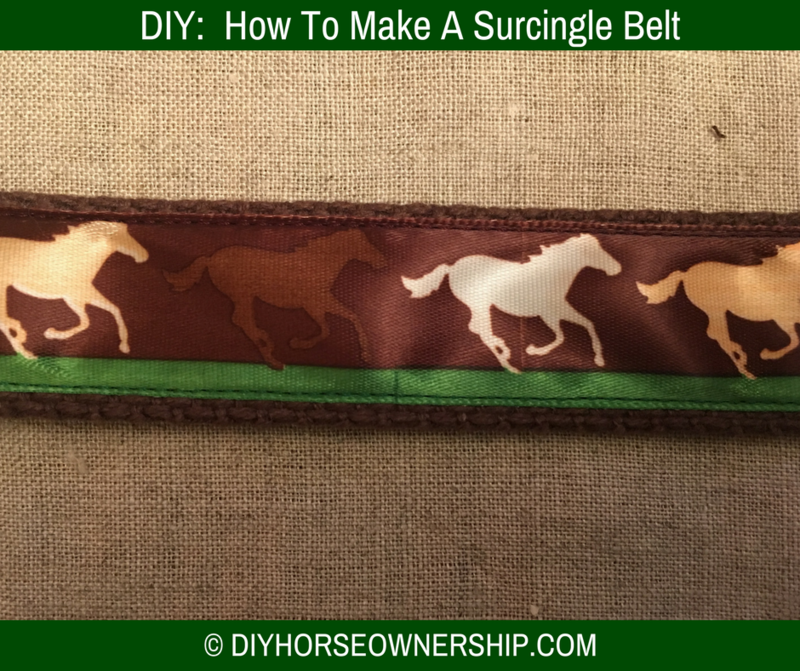 Wrap the ribbon around the central bar and then pin the ribbon to the belting. 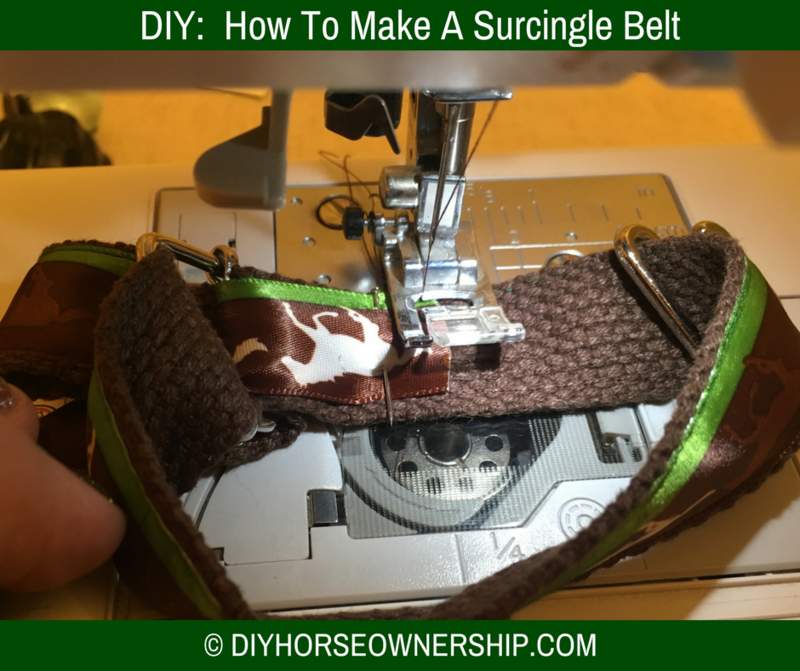 This one is a little hard to sew, but you should be able to hold the belting apart and get it done. Again, don’t worry if the sewing is a little messy, it will be hidden when the belt is being worn. 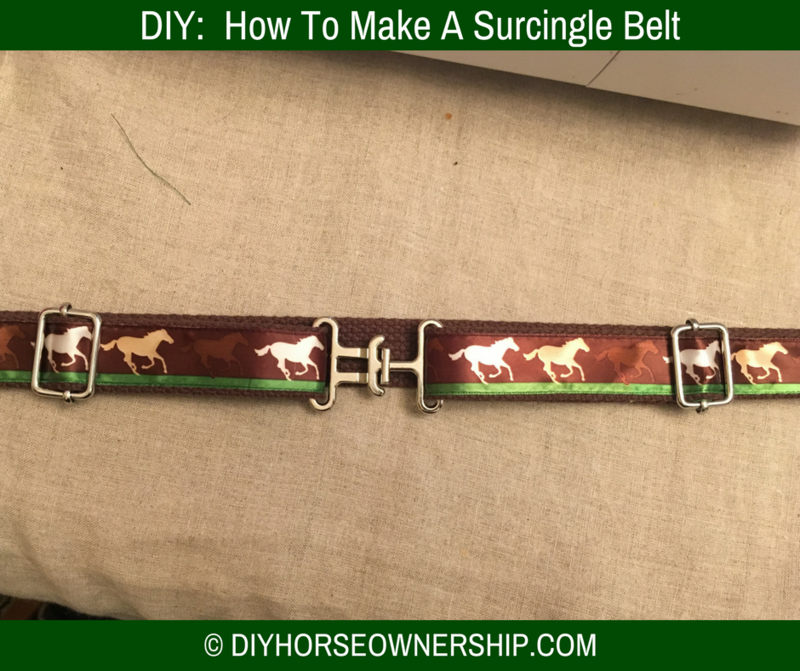 Pull the belt back onto the adjustable slide buckle and you’re done! I was impressed with how quick and easy this project was. I had the thread and pins and I bought all the materials with a coupon so the total cost was less than $10. If I ordered everything online in advance, I could get the costs down even more. It’s really cute too. I’ve already bought the materials to make another one in my own colors. OMG- I WANT ONE! That is the most awesome of belts. It came out better than I thought it would. Dang girl! That looks AWESOME. But I need that ribbon! This is a beginner level project; you could totally do it. If she makes you one, share it with me! Sign me up for one once you open your etsy shop!!! I’ve thought about it before, but most of my projects wouldn’t sell for as much as my time is worth. I like that so much better than the 2″ ones I have seen! 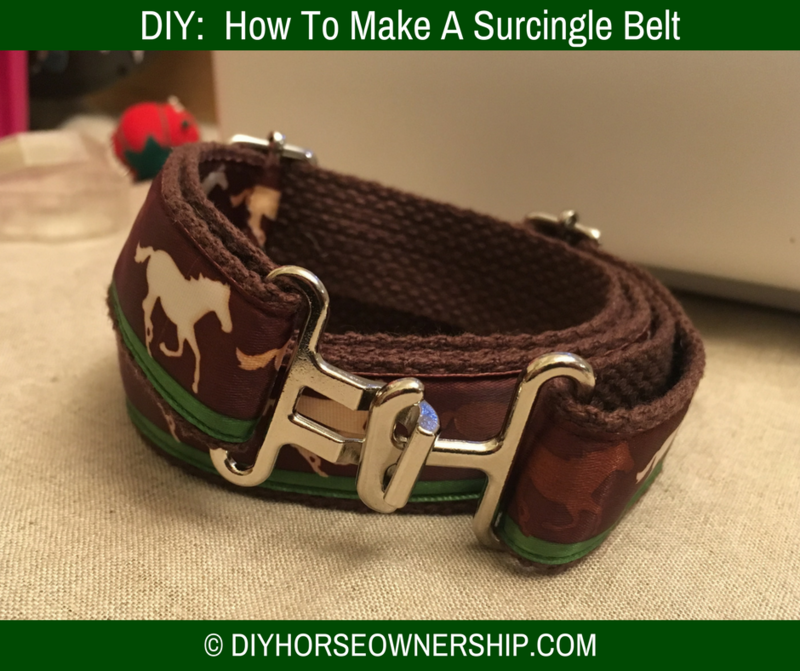 My thought process was similar as to it not fitting in my breeches belt loops and the cost. Sadly, my sewing ability is pretty much nil (and my sewing machine is all messed up)! You could hand-stitch this, but it’d be so annoying. Great DIY! 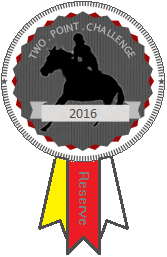 Could totally make it with horse show ribbons too! I have already started one! This is amazing! You are so crafty! I’m just saying…you should totally make these for those (::cough cough like me cough cough::) that don’t have sewing machine…or know how to sew. That belt looks awesome! Maybe I’ll do a giveaway. I like this so much better than the elastic one’s honesty. It came out so cute! That’s kinda what I thought when I finished it. This is a great tutorial, Olivia! Did you know if you use a lighter on the end of the cut ribbon it seals the threads? I know you are sewing the ends down, but it does clean it up and make things a little neater to work with. Good job! Would the lighter work on cotton belting? I know it works on nylon. I’ll try it on the next one. Nope. Doesn’t work on cotton. I added some fray check to the next one. I’ve thought about it before, but I don’t think I’d enjoy crafting as much if I was doing it for money. OHHHH totally going to make one of these! Awesome! Share a pic with me if you do. This is a great DIY! I actually bought one, but I got a killer deal, so I don’t feel bad! 🙂 I may have to make myself more now though! The 2″ ones would be even easier. 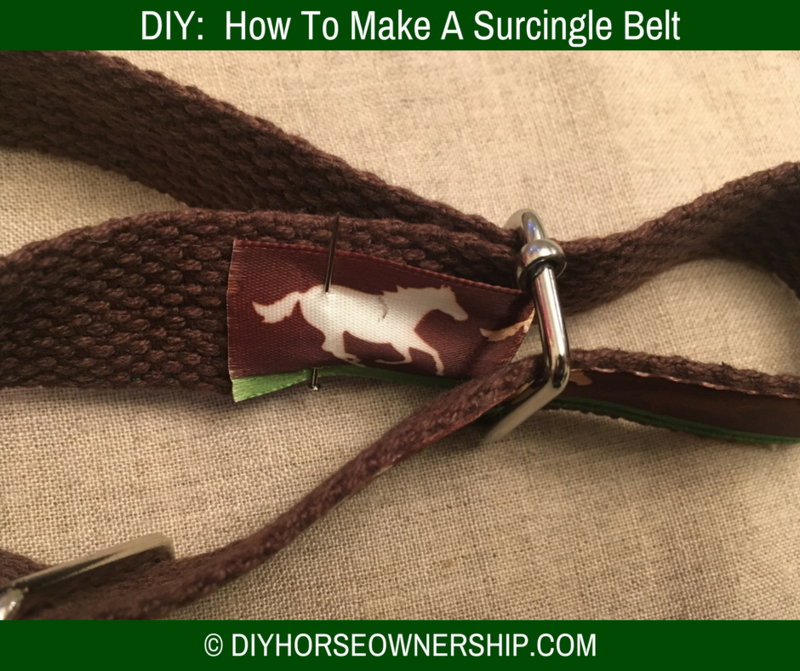 They sell the 2″ surcingle clips for blanket repairs and you would just need to buy a strip of 2″ elastic. That’s so stinkin’ cute! I never wear belts, but this makes me reconsider! I’m generally too lazy to wear a belt, but I do wear them at clinics and shows.